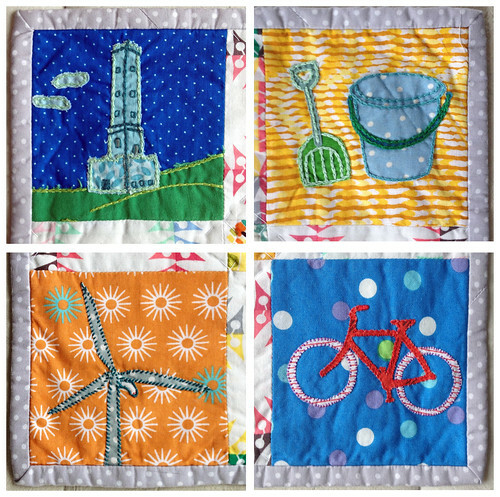 I was commissioned to make Ted’s little sister a quilt. 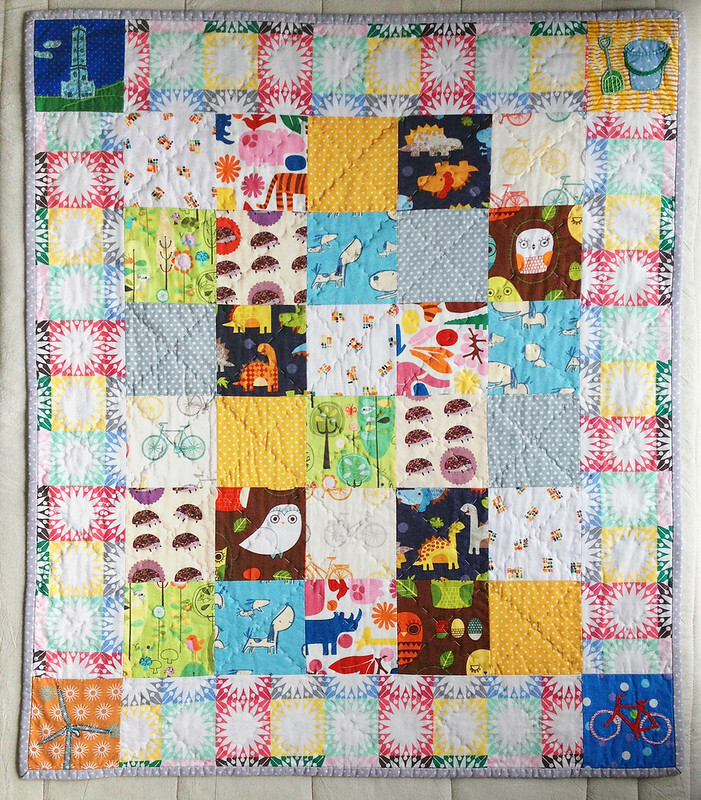 His lovely parents Ben and Charlotte asked me to make his quilt nearly 4 years ago. 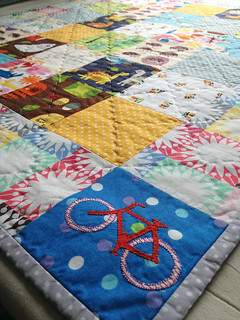 This is Olive’s which was delivered yesterday. 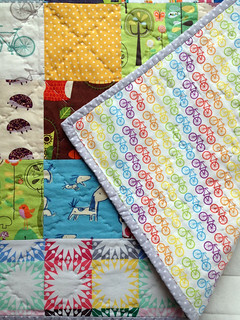 The reverse is called ‘Rainbow Bikes‘, ordered from Spoonflower.